Welcome to Day #3 of Chocolate and Starches Theme Week. Oats are a popular starch and cereal grain, often combined with chocolate chips or chunks, in cookies, granolas, cereals and oatmeal cereals. 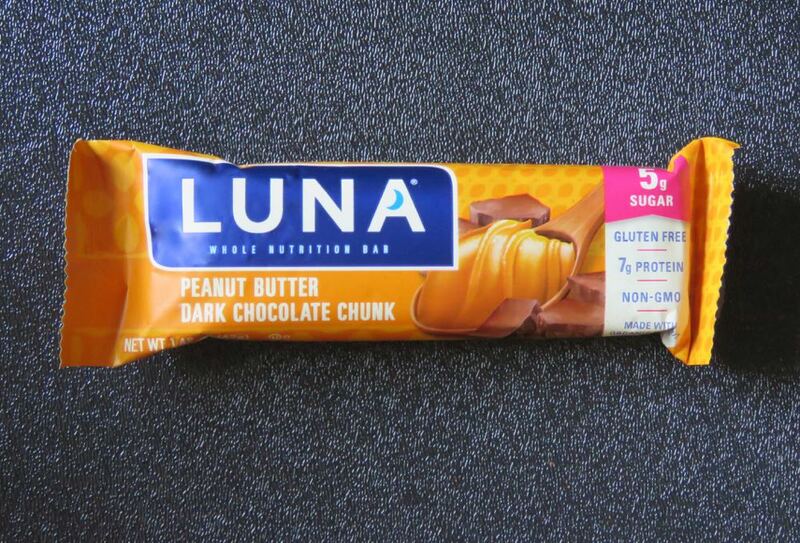 They're also a popular (non-wheat) inclusion in energy, nutrition and cereal bars, such as today's Luna Peanut Butter Dark Chocolate Chunk bar distributed by Clif Bar and Company (Emeryville, CA). 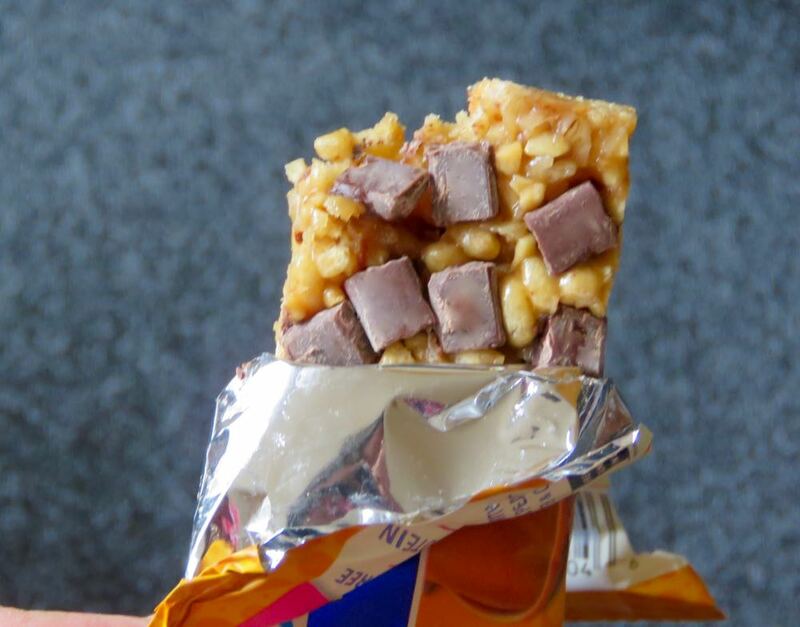 Oats* can add a bit of substantial cereal oomph and texture/fiber to a bar and, to some extent, can help balance sweetness (if extra sugar isn't added to compensate for this muffling effect). Speaking of sugar this bar was labeled as "low glycemic" (19 grams carbohydrates and 5 grams of sugar). This bar had mild peanut butter flavor. 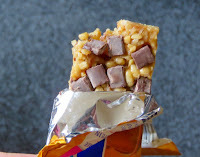 And small chocolate chunks adhered to one side of the bar, gave it a hint of rich chocolate flavor. *The first ingredient listed was a Protein Grain Blend (soy protein isolate, organic rolled oats, organic rice flour). 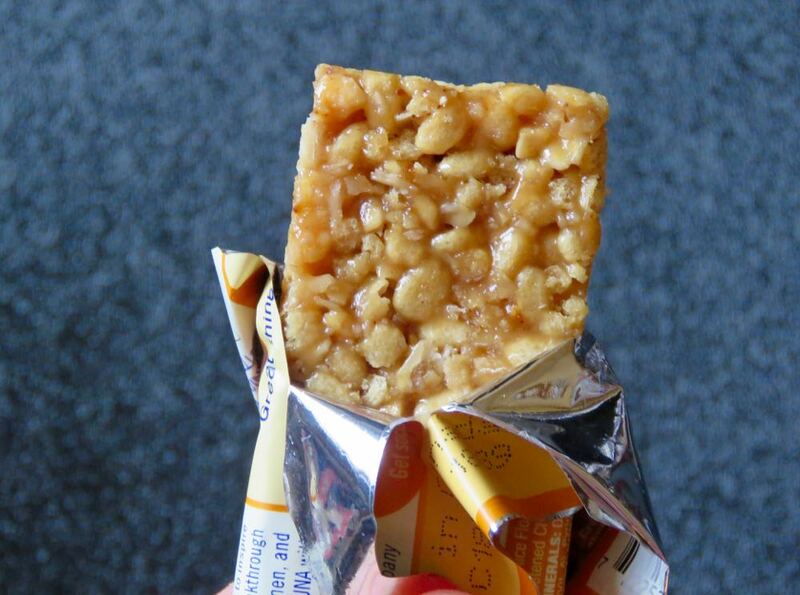 This gluten-free bar contained 7 grams of protein.